After a 2 month hiatus, I am back to recording progress on my trip. Coming back and re-establishing myself was more challenging than I imagined – in fact the trip itself was more challenging than I thought it would be. My apologies for leaving you hanging! 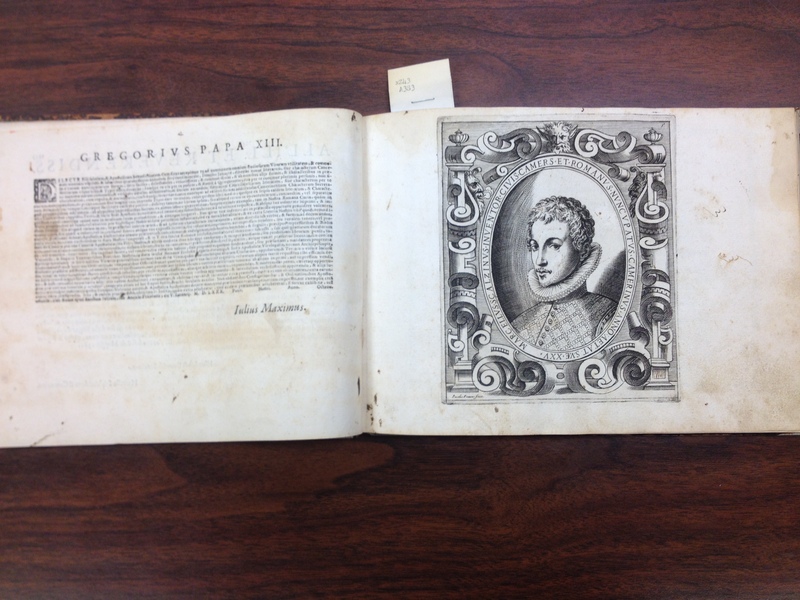 Getting into a special collection library can be daunting. University libraries have their system, public libraries have somewhat easier methods and private libraries can be the most restrictive. But things are changing in the library world and the vetting process has become a little less stringent. The Folger Shakespeare Library requires letters from two individuals with .edu or .org email addresses. Generally that means an academic institution or non-profit research library. I was fortunate to acquire letters from one of each and the librarians said some nice things about me and my project. I was excited that I was granted entry as a reader. 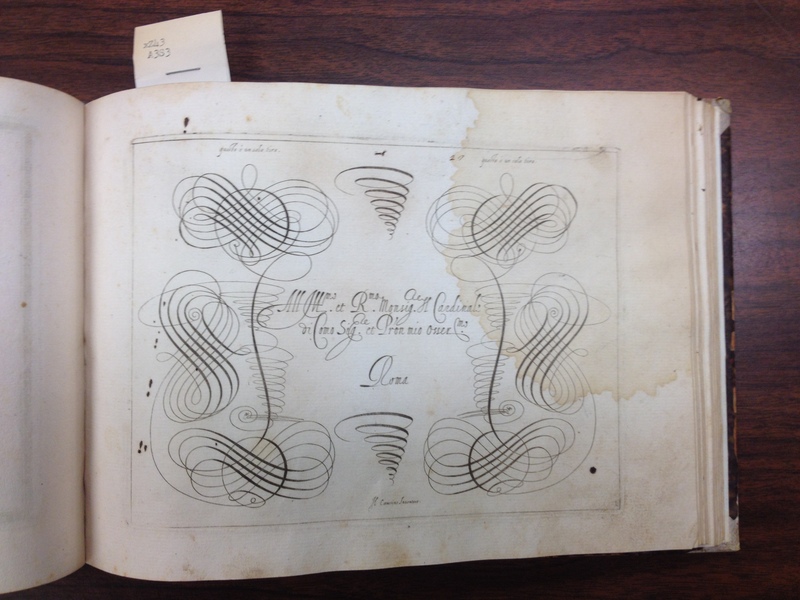 I’ve visited the Folger’s conservation lab a number of times, but going in as a researcher is different than visiting a colleague. It was raining lightly on Saturday, September 11, 2015 when I rode to the library. My hosts live in Silver Spring, MD about 9 miles from the library, a 45 minute commute during the week. On a Saturday, it’s faster as there is less traffic on the roads. 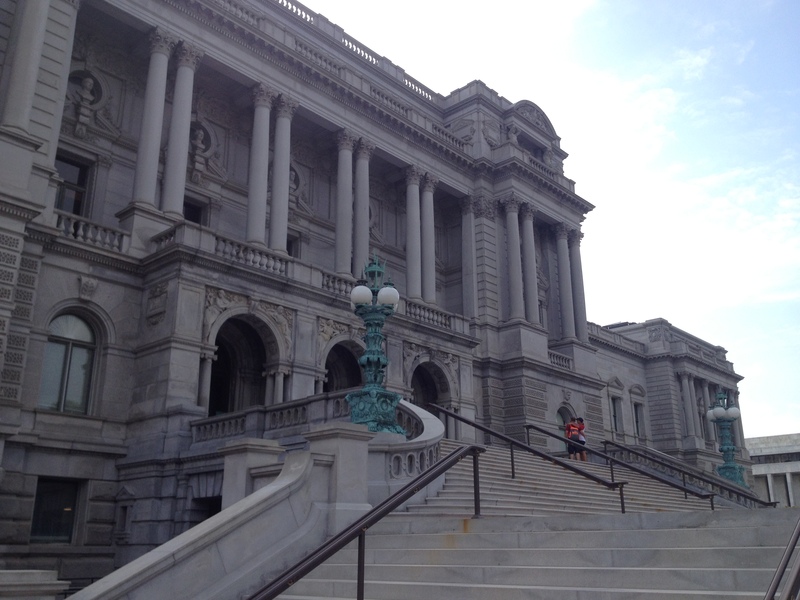 If I was going to be a riding reader, I should ride to the library at least once while in the nation’s capital. I arrived somewhat damp in my riding gear. The guard didn’t believe that I had permission to enter. After requesting my identification, she told me to stand in the lobby while she checked the reader services desk. I dripped water on the stone floor as I awaited my fate. Would I be allowed into this august library or be thrown out as motorcycle trash? The guard didn’t appear to like a damp biker being allowed into the library. I guess not everybody in the library world has come to embrace motorcyclists? Requests for items are made prior to arrival so the staff has time to page them, I’d made my request on Friday. Saturday, the hours are curtailed, so it makes sense to do this. Requesting vault or restricted items, they are pulled only during the week. At the desk, I asked for my books and a young woman in jeans (librarians don’t wear jeans, do they?) brought them to me. She asked why I had requested the particular books I had. Briefly (yeah, right!) I told her about Motoscribendi and my research. She listened attentively and then introduced herself as Heather Wolfe, the curator of manuscripts at the Folger. 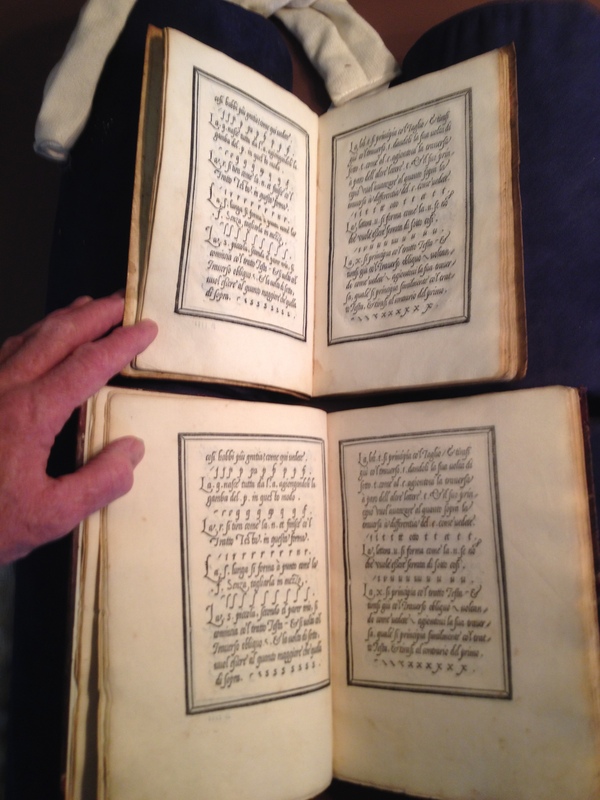 We stood there for half an hour talking about writing manuals, different calligraphic hands, quill cutting and the world of rare books and the chance to look at old books and manuscripts. It was like meeting an old friend and catching up. Heather’s knowledge and enthusiasm are what makes this kind of work exciting. Meeting with an inquisitive, engaged paleographer happy to talk with me about these things gave me an even greater sense of being a part of something worth pursuing. 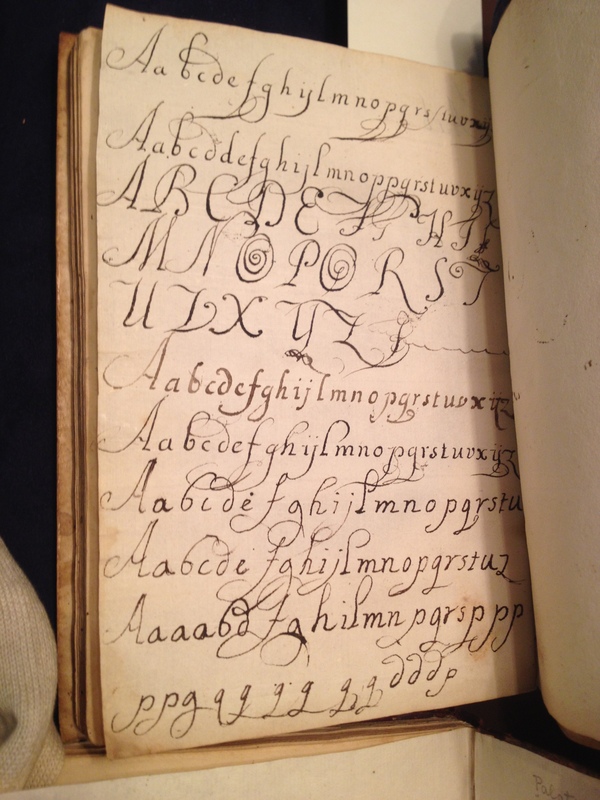 Heather teaches paleography classes on the Secretary hand at the library. 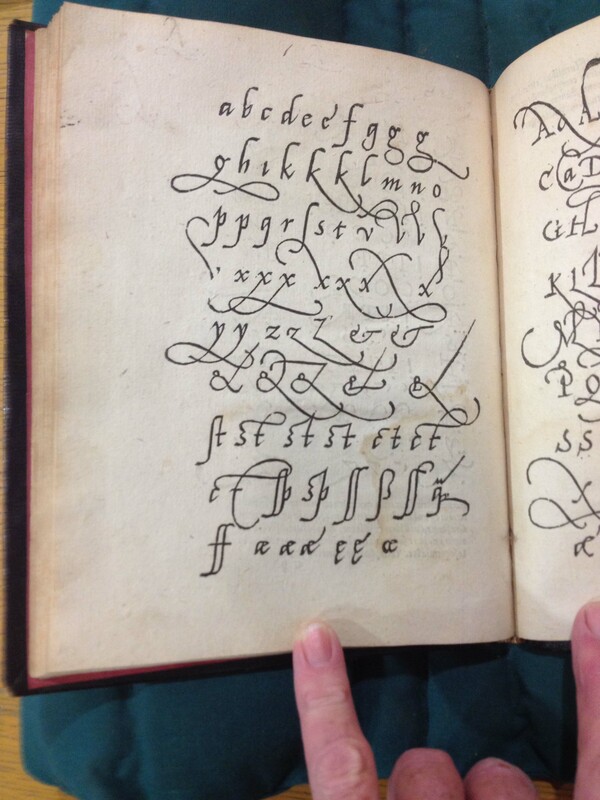 Even though many manuscripts at the library are in English, they are all but indecipherable without some training. 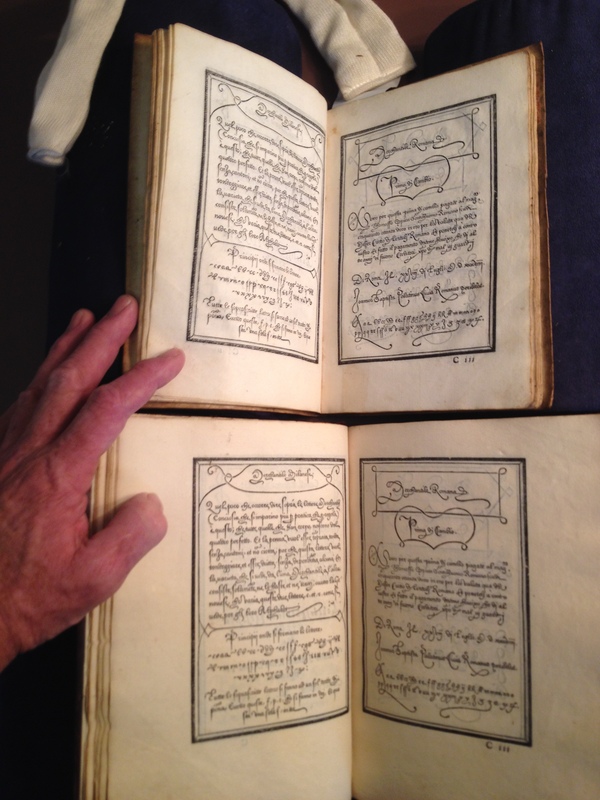 The library has around 60,000 manuscripts many of which are written in a Secretary hand. 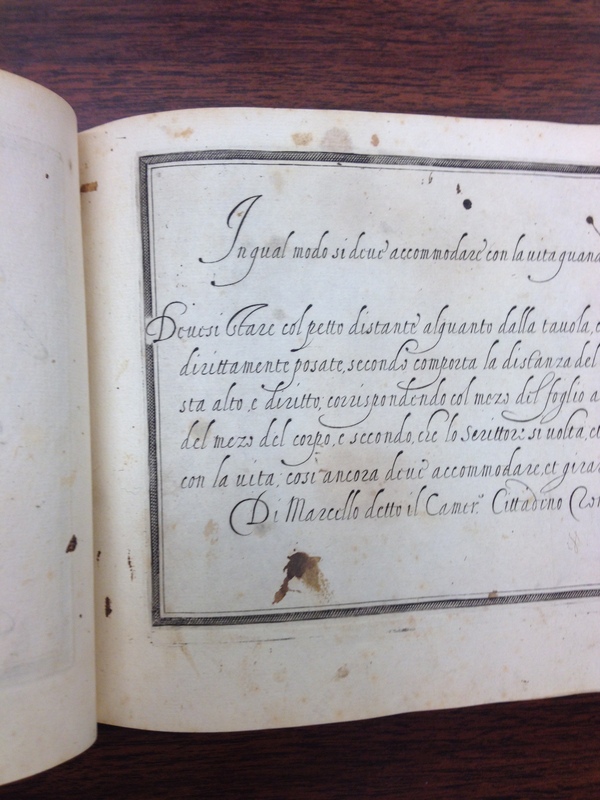 Heather and her colleagues have been working on a project to teach paleography and get people involved in transcribing documents from the collection. 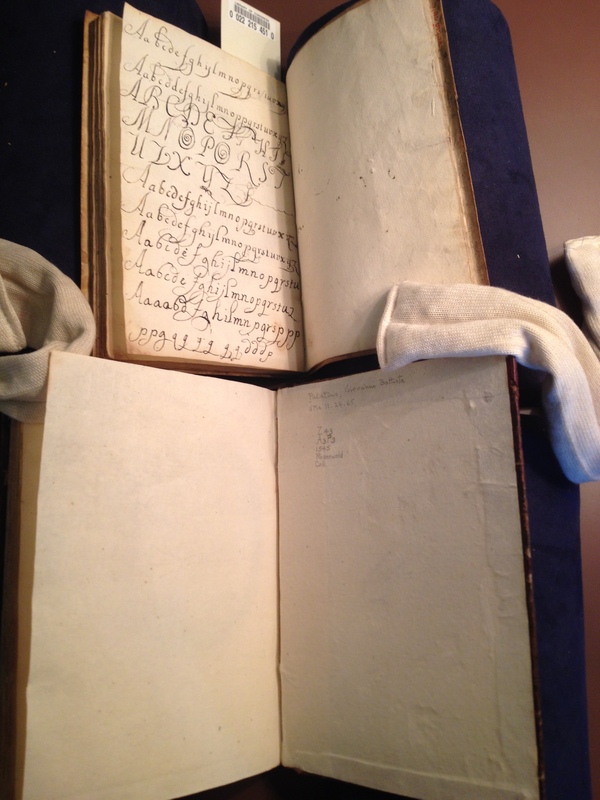 Early Modern Manuscripts Online (EMMO) has just launched Shakespeare’s World to use crowdsourcing technology to allow interested individuals to be a part of reading and transcribing these manuscripts. 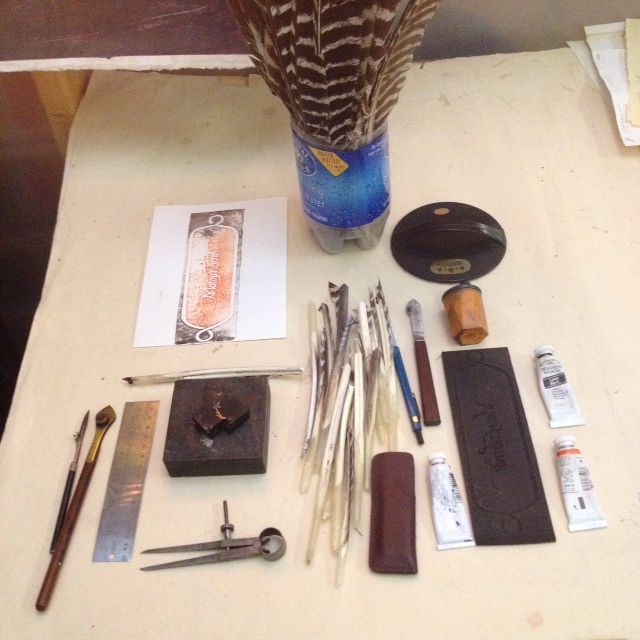 We talked about quill-cutting, parchment-making and other scribal traditions and how exciting it is to look at these materials and discover things about production and use. When I went to sit down to look at the books, she apologized for taking me from my work, but the truth was that speaking with her is my work. 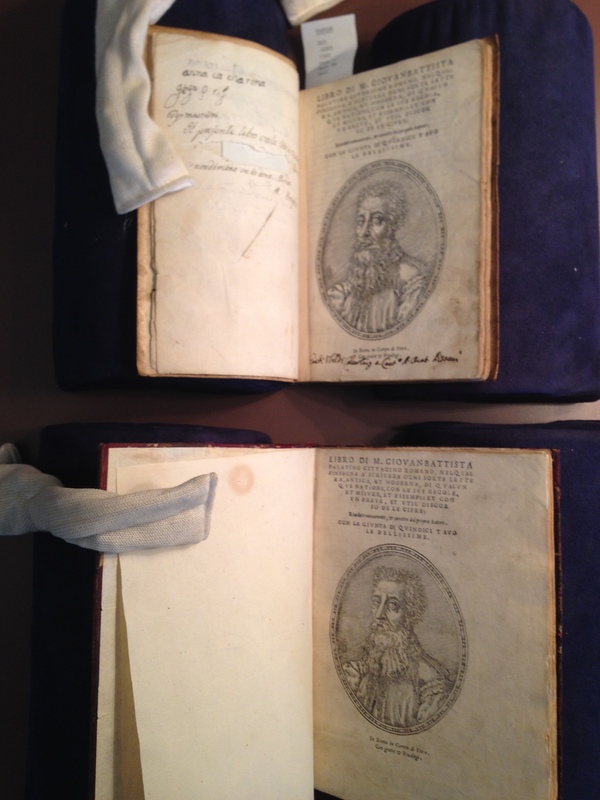 Getting to look at books and learning more about these writing manuals is important, but I wanted to meet the scholars, librarians and staff that are charged with caring for these books. 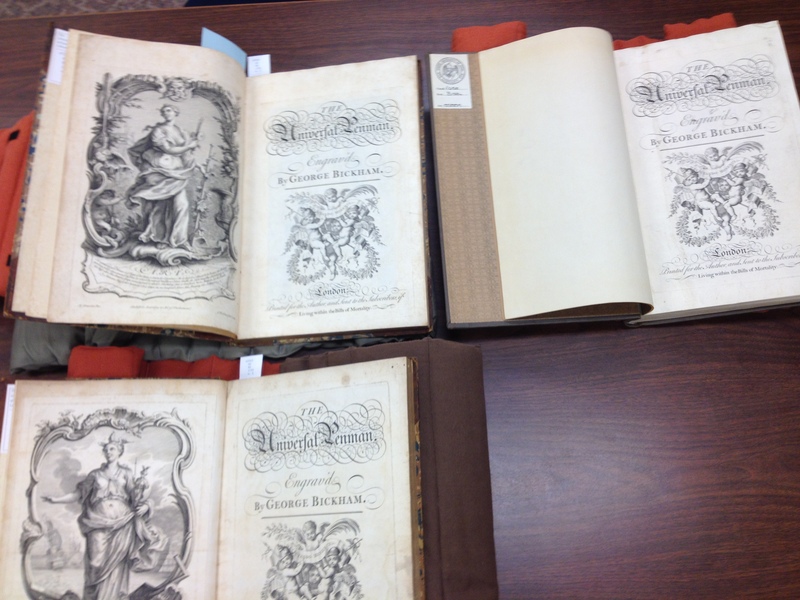 After lunch, I came back and continued looking at the books I’d called up. 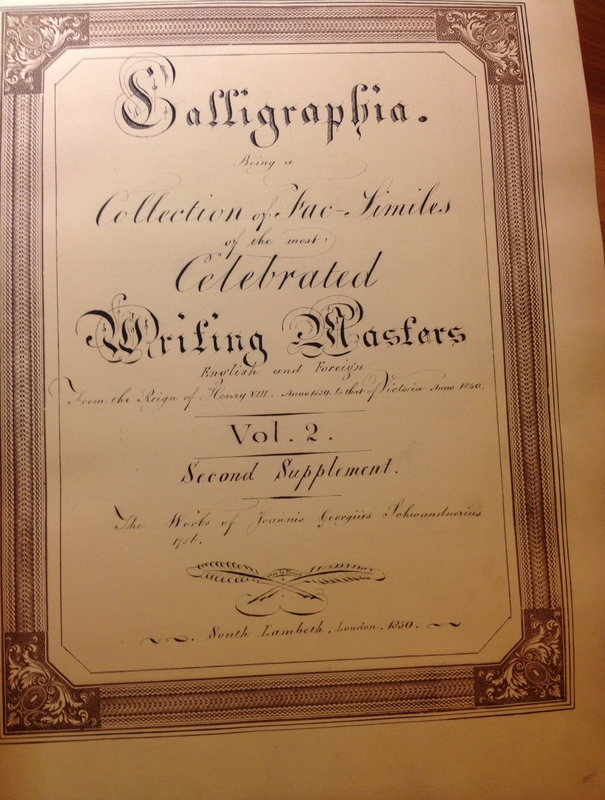 Palatino’s writing manuals have been well researched by Stanley Morison and others, but I think there’s more to learn by looking at these books. A digital copy will only represent one iteration. 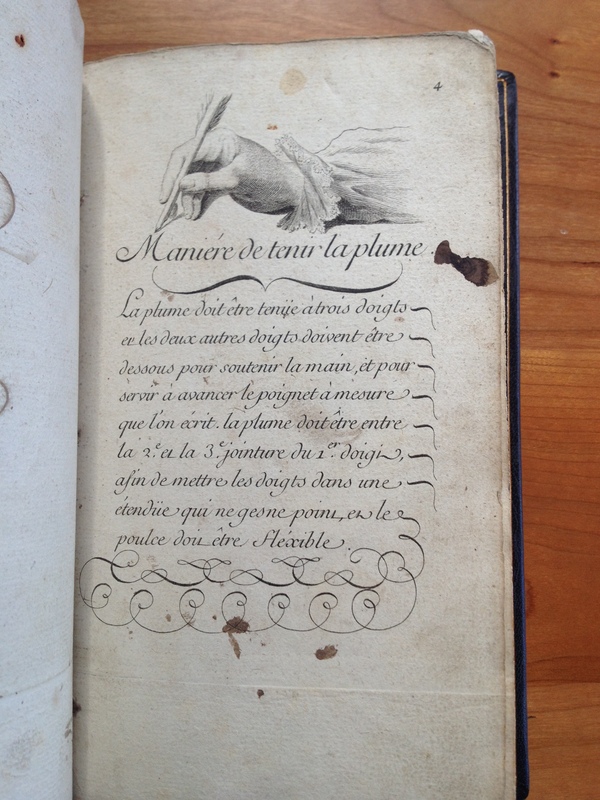 Each time I open a writing manual, I am excited to see how it has lived and been used. 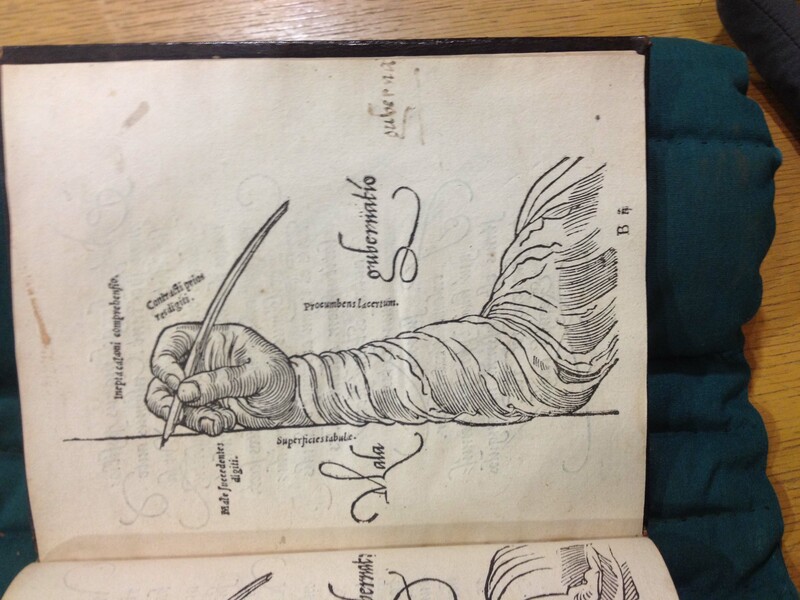 This interplay of book and reader shows the challenge of learning to master a particular hand. Sometimes the student is not very skilled, and sometimes they are better. And often, the progression is obvious through the book’s progression. 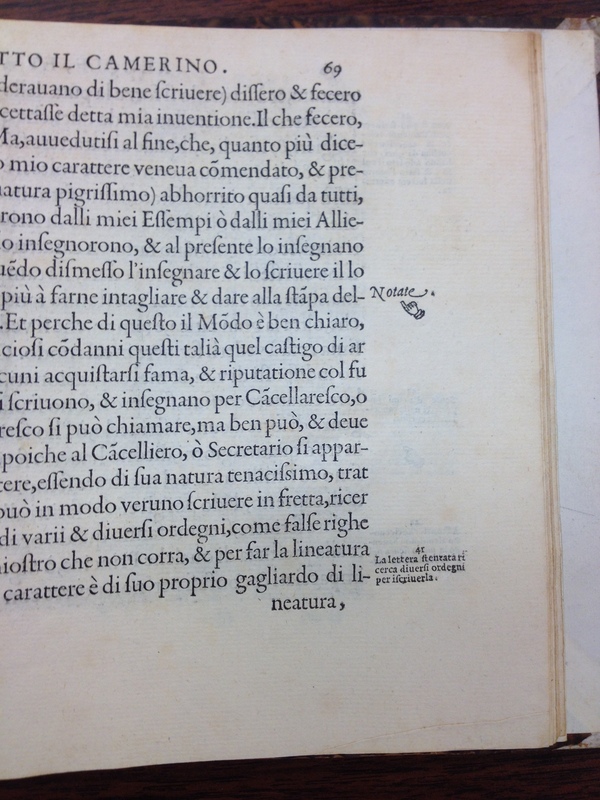 And on the verso of the leaf marked “Ciij” is another block cut a year later in 1566 with the same 17th century scribe’s annotation of Palatino’s full name. 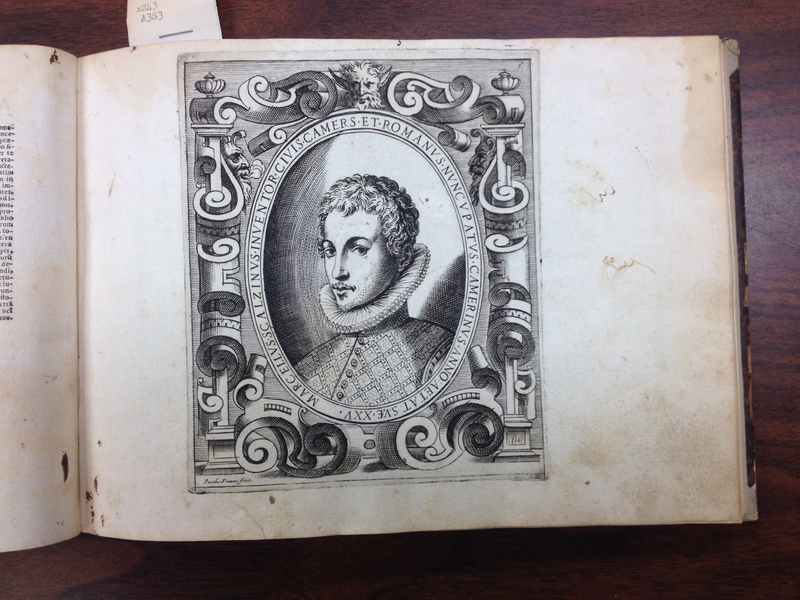 There’s more to discuss about the Folger’s Palatino collection, and I’ll continue that in my next post. Library of Congress Jefferson Bldg. 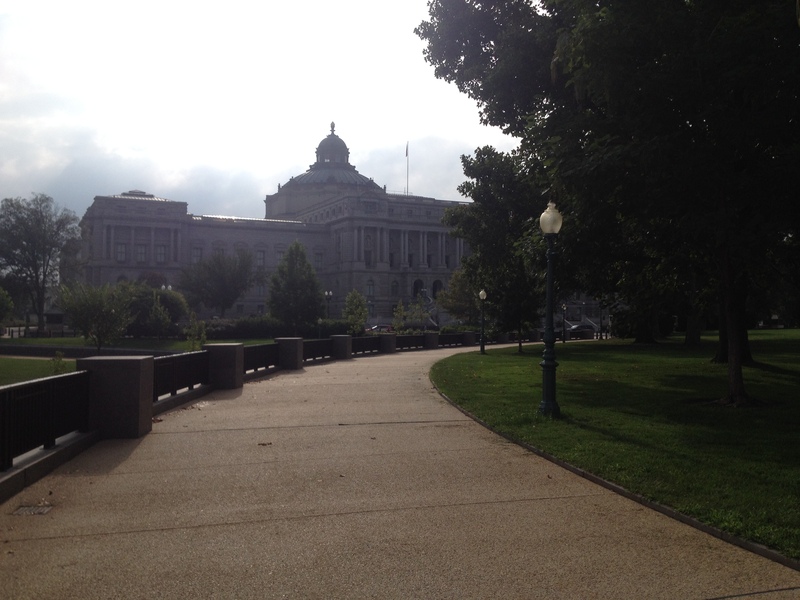 I found my way to the Library of Congress from Chicago after a few adventures on the road, but I’m going to leave those stories for another post. 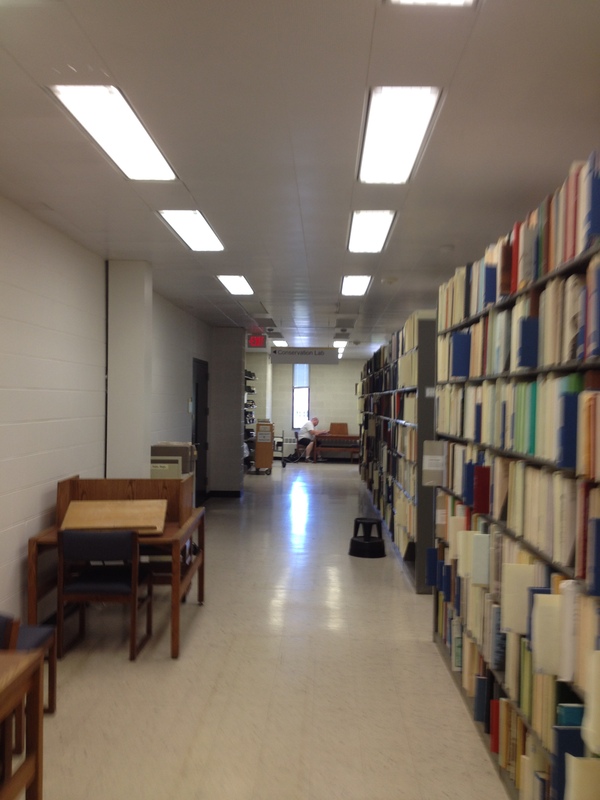 The Rare Books & Manuscripts division is in the Jefferson Bldg. 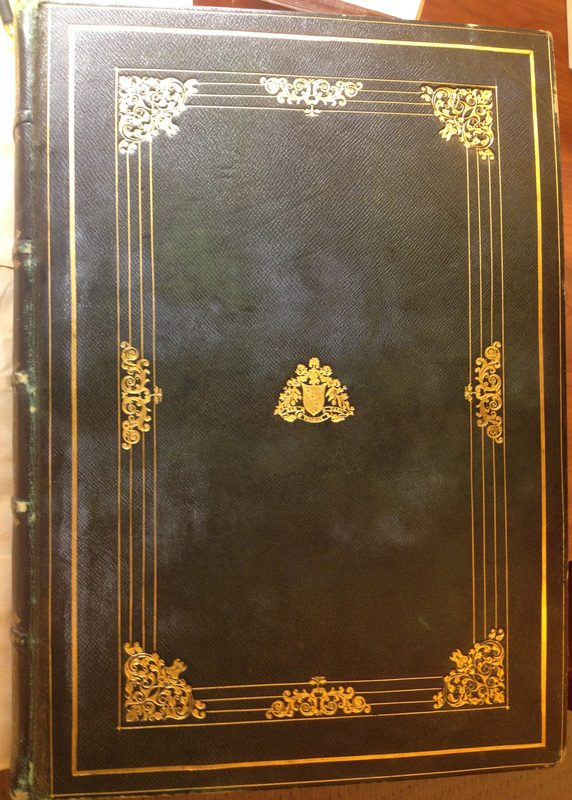 They have a few nice books there & I got to see more than just two. 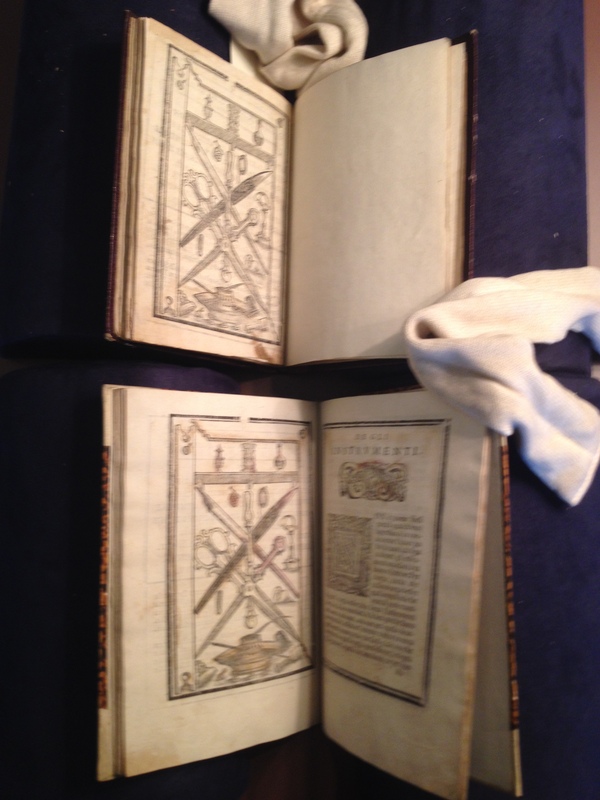 However, it was a treat to look at two different copies of the 1545 Libro nuovo d’imparare a scrivere that they hold. One is the Rosenwald copy and the other is the Fabyan copy. 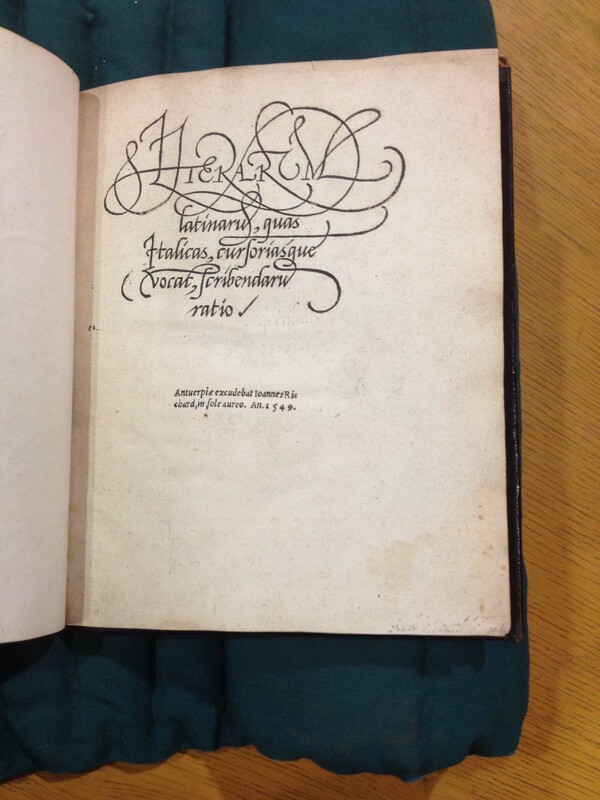 The 1545 copy is a reprint from the 1540 publication. I haven’t looked at two copies of the same title of any writing manual from the same issue date. At Iowa I’d taken a look at 3 Bickhams from different years and the production variations were evident. I thought it might be fun to see what kind of variations there would be in two books from the same publication date and presumed that they were from different printings of the same year. 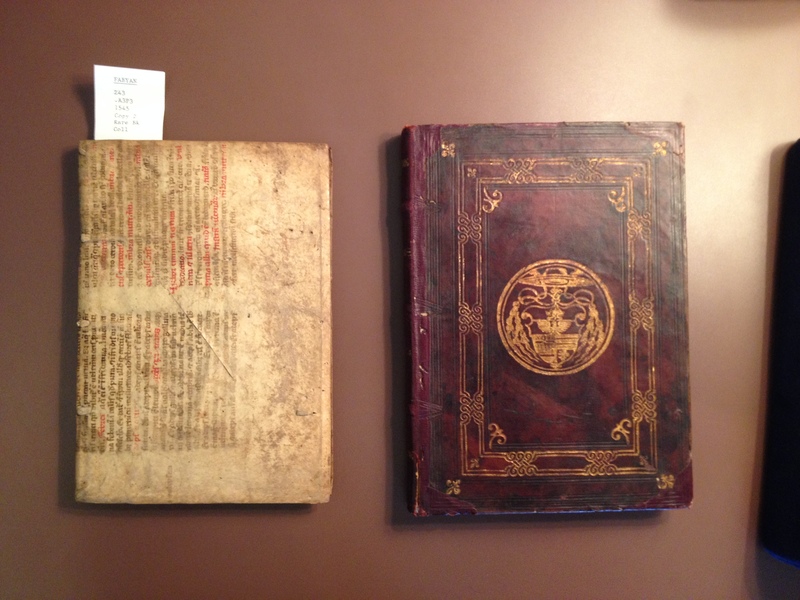 The Rosenwald copy isn’t trimmed as tight as the Fabyan. 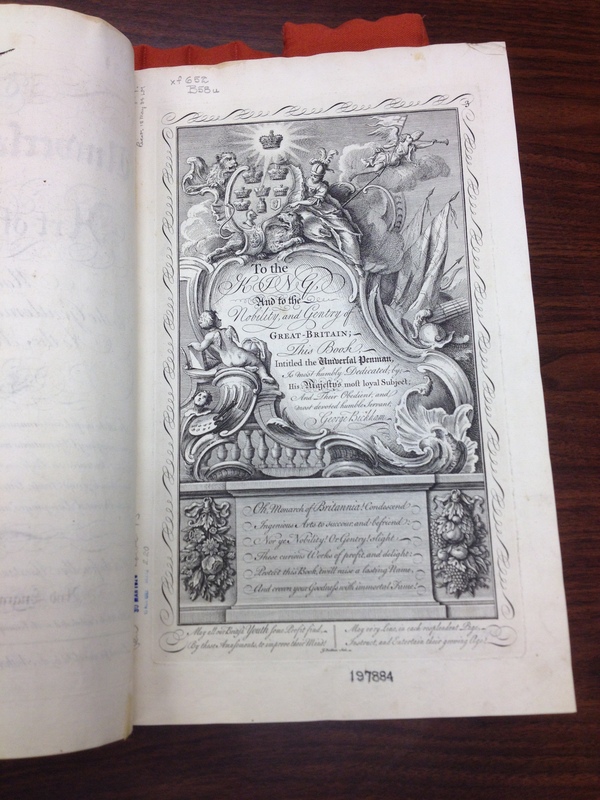 There are more generous margins on the Rosenwald book. The paper looked the same as I started to go through it and the printing was comparable in terms of coverage. Inking on the reverse blocks varies but that’s to be expected. I kept looking for a variation in block formatting or change in something as I went through the books. The imposition of blocks was the same throughout the books. 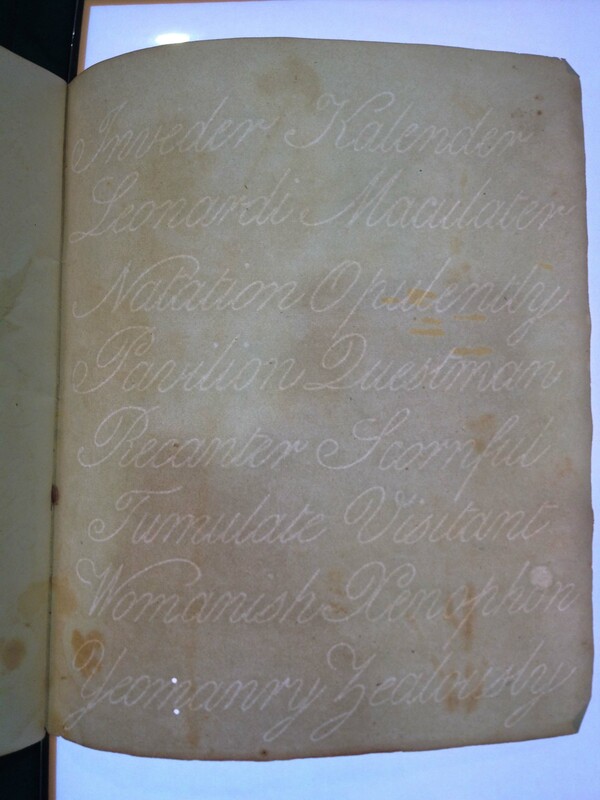 As I was going through them, I noticed a variation in the signature marks at Cii – not surprising if they were printed at different times. 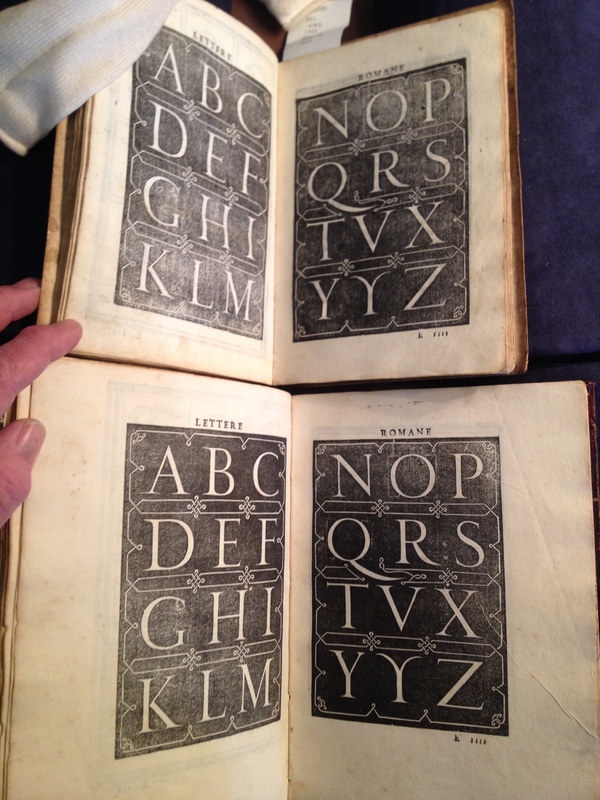 When I went through the books a second time, I got a little excited because I hadn’t seen any other variation i the printing order or blocks. The rest of the letterpress was all the same. Then I went through them again and looked at how the blocks lined up and looked for obvious variations in the show-through and found so much similarity in impression and inking and paper that I suspect they were printed in the same press run. 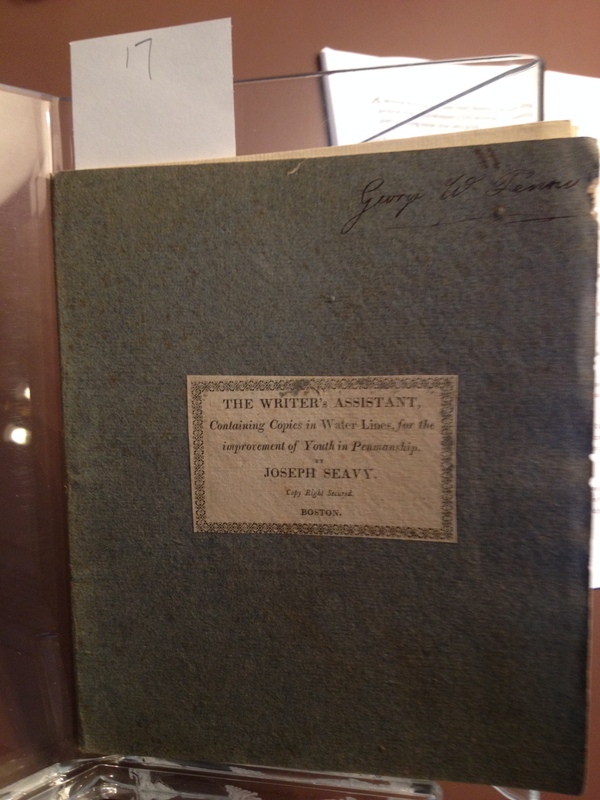 The Fabyan copy has an owner’s practice on the verso of the last page. I mentioned this possibility to Mark Dimunation and he seemed interested. When I return, I’ll gather more information and see if my theory holds up to greater scrutiny. 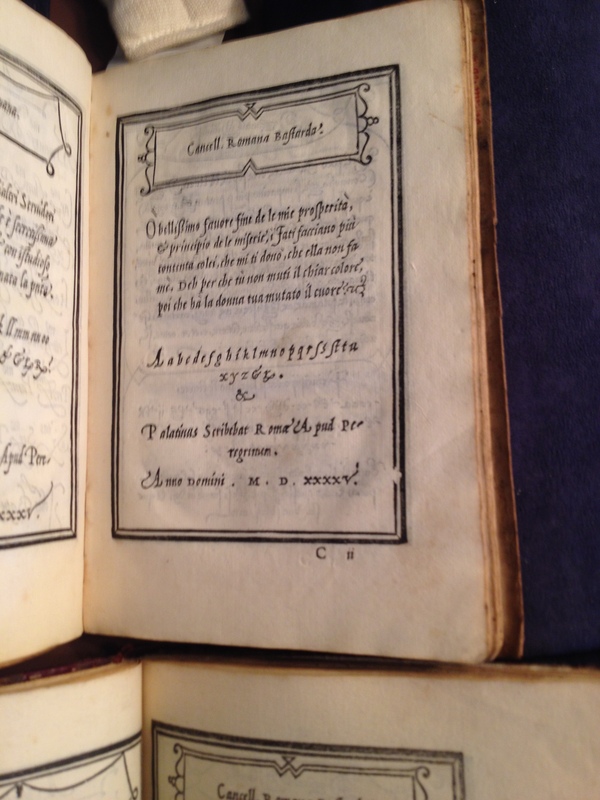 Italian 16th century writing manuals are numerous, however the rest of the Continent took about half a century to catch up with the innovators. Neudorffer in Germany, Iciar in Spain published prior to the middle of the century, but there was one guy over in Flanders that stood out. 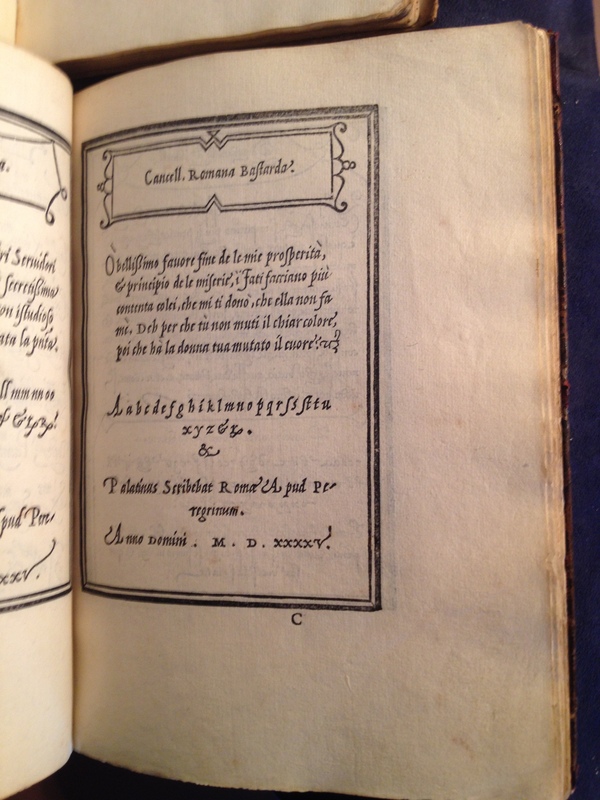 When Palatino was making a splash with his Libro nuovo d’imparare a scrivere Gerhard Mercator produced Literarum latinarũ, quas italicas, cursorias- que vocãt, scribendarũ ratio. 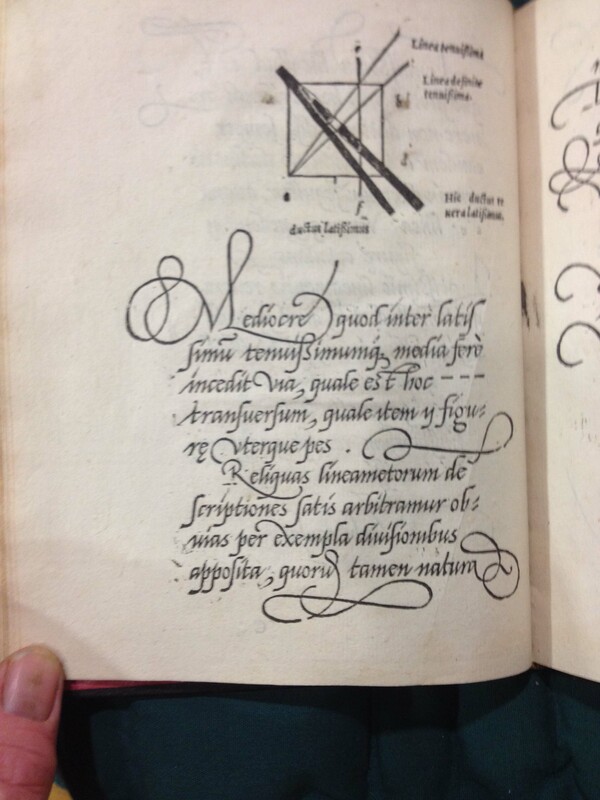 As you can see, Mercator went in for flourishes in a big way, even moreso than his Southern contemporaries. Gerhard Mercator had skill, energy and intelligence and was schooled in writing out texts in all the current hands. He particularly favored the Italic hand for maps and his skill as scribe and engraver led to work in making globes and soon after, maps. 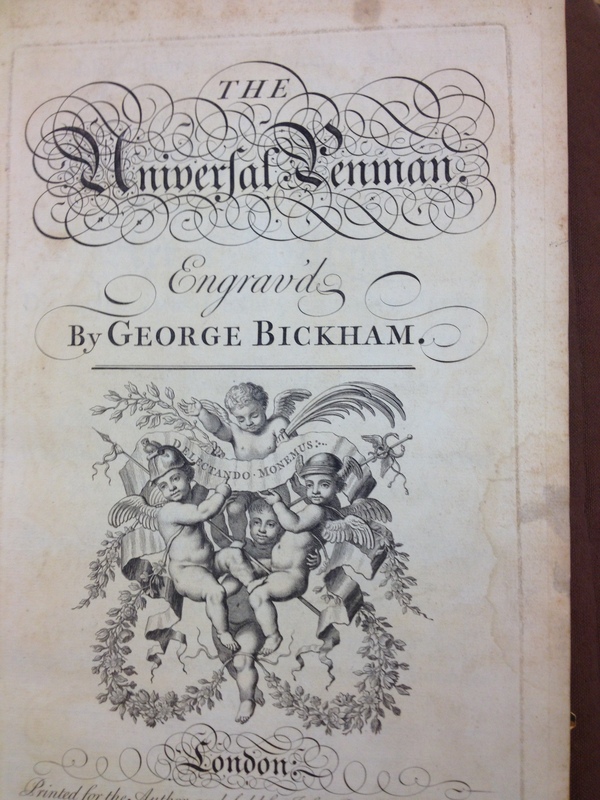 He could cut woodblocks as he does in this manual or engrave in copper as he often did for maps. This level of versatility in dexterity, aesthetic and mathematical skills produced an impressive oeuvre. 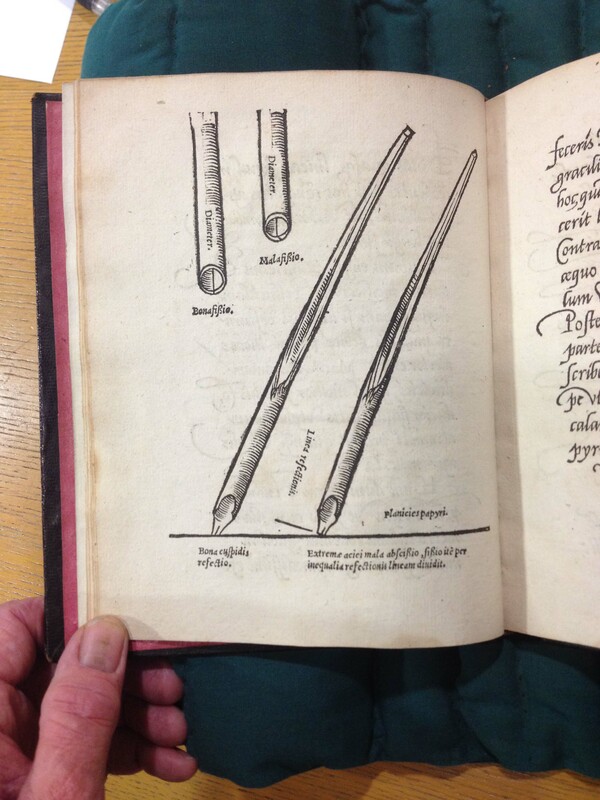 Whether describing how to hold the pen properly or cut a quill, Mercator’s text is quite clear on how to do it. 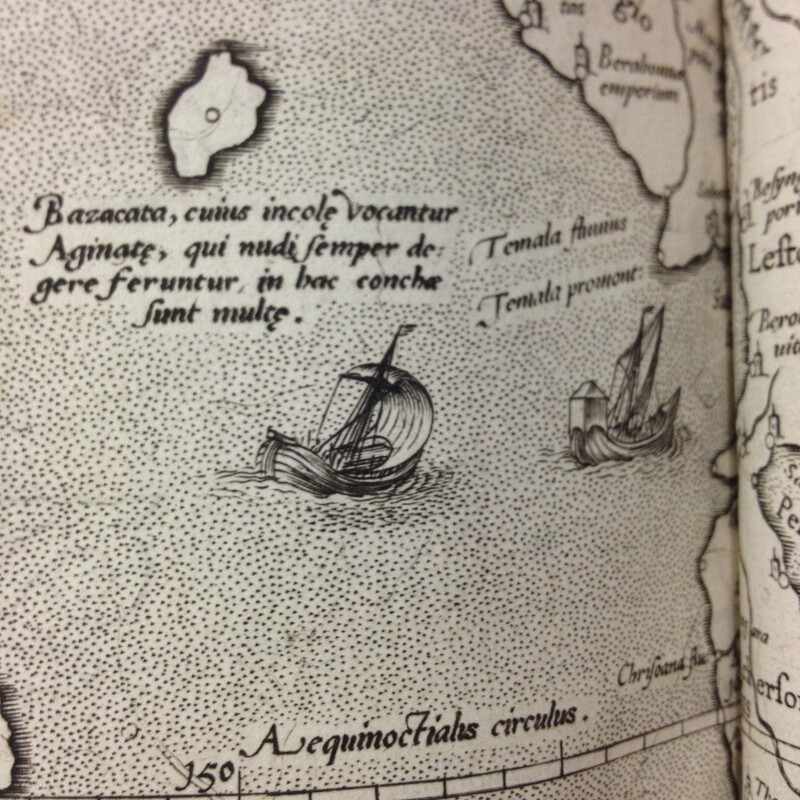 Since Mercator wrote on maps, not in books (though he surely did that as well) his graphic design and purpose for flourishing were for a different kind of reading. 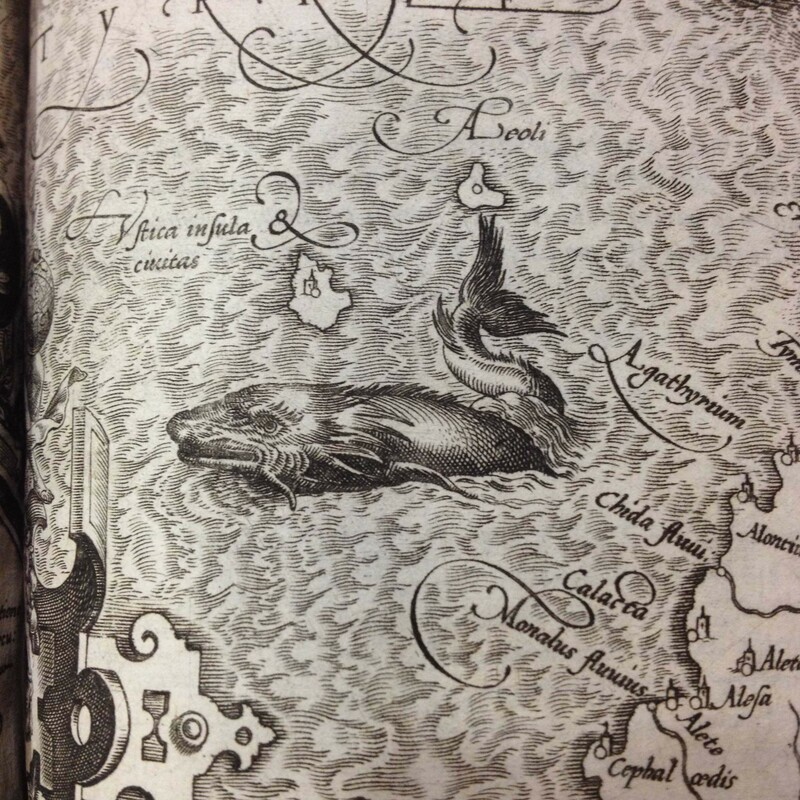 Maps were important tools for marine navigators to get around. The Mercator projection wasn’t his invention, nor was it much used in his day. 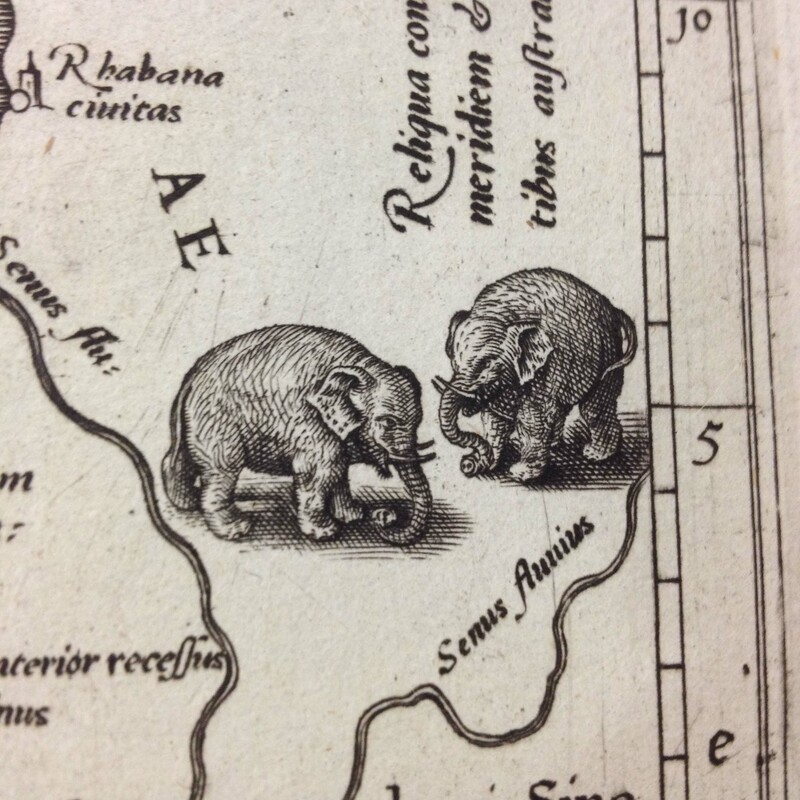 But let’s not get hung up on gnarly navigation details and get to his engraved maps. That’s where the fun in lettering and fantastical creatures of the sea are. 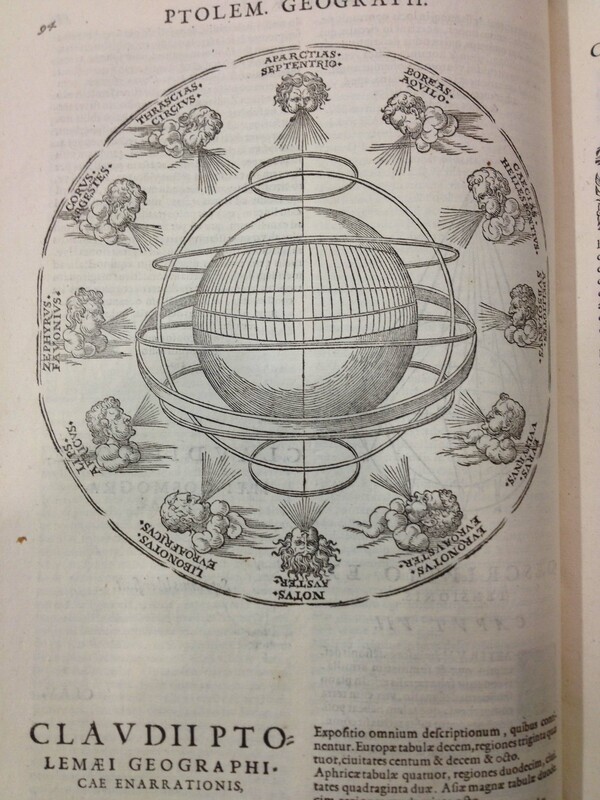 Mercator decided to show the Ptolemaic concept of the world in the 1580s and engraved maps based on this earlier world view. Those flourishes may not be necessary, but they do look nice splashing around that sea creature. Last week I rode into Iowa City on Tuesday morning. The ride up from Texas had been really hot and I was in light pants and a t-shirt under my riding suit. I’d left the back vent open and was chilled to the bone an hour after starting at 6:30 that morning. I had to stop, drink coffee and eat to thaw. The temperature was in the 60s but I’d been riding in the 90s and 100s previously and I wasn’t prepared for such cool weather. 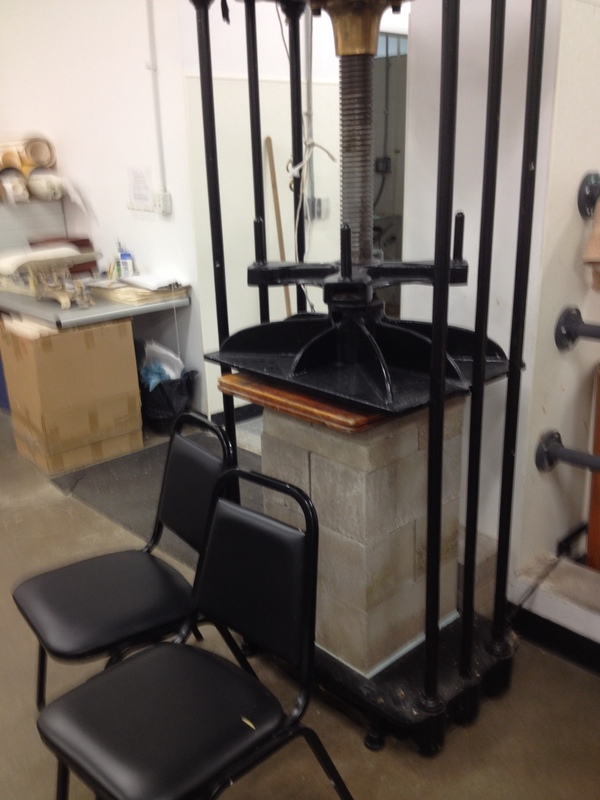 After that, it was a pleasant 200 mile ride to the Paper Lab in Coralville, just a few miles from the main campus. 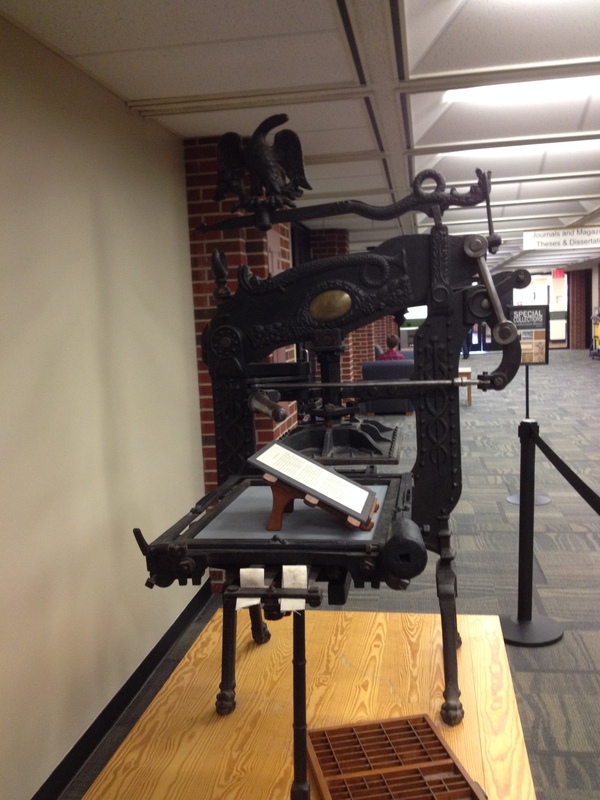 Tim Barrett, director of the Center for the Book, paper scholar and master papermaker was expecting me. 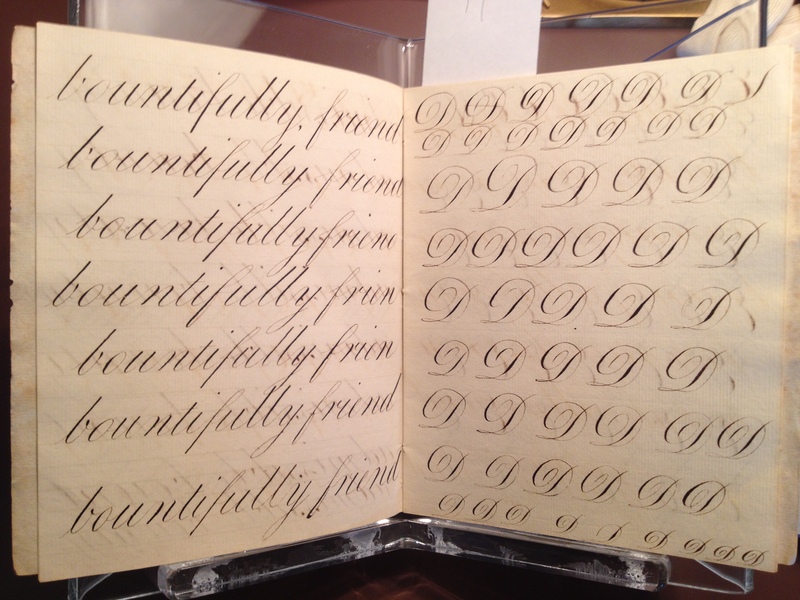 I stowed my motorcycle gear, donned my tennis shoes and headed into Iowa City to have lunch with Cheryl Jacobsen, a very talented calligrapher and instructor at the Center for the Book. I was invited to speak at the start of Cheryl’s beginning calligraphy class that evening and we had a pleasant talk about what I’m trying to do. Cheryl’s classes are well attended and it’s gratifying to see that calligraphy and lettering are getting the attention of students today. 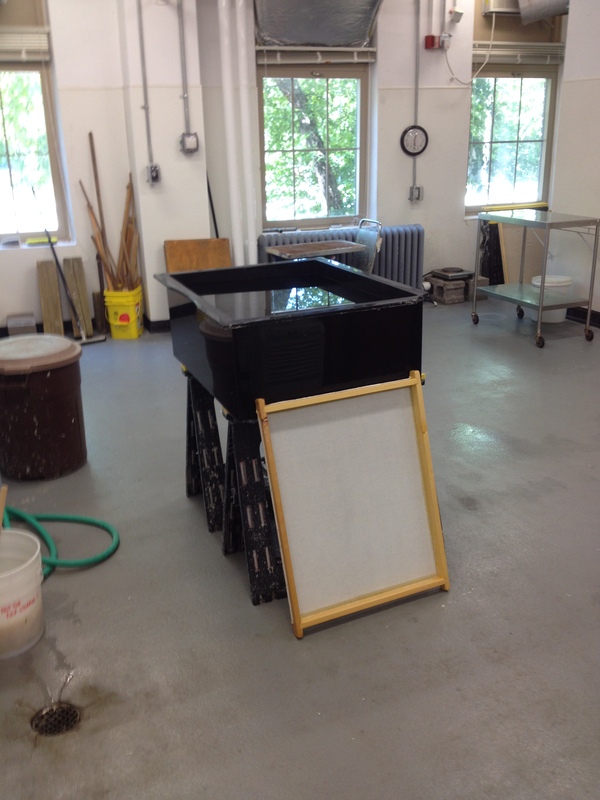 After lunch, I visited the conservation lab at the library. My good friend, Giselle Simon has been at the library for 3 years after working at the Newberry Library in Chicago. This is a small world and people I’ve known at one place often end up somewhere else. This phenomenon will repeat itself as I continue to travel East. Giselle’s a talented conservator and book artist and runs a pretty happy department at Iowa. I was fortunate to meet a few of the technicians and learn of their own skills and interests. A conservation lab often has talented technicians that work every day at the bench to conserve and preserve the library’s material. I enjoy seeing how people use their work skills in their own efforts. Tim Barrett is a thoughtful and meticulous craftsman with a strong interest in the aesthetics of historic paper. 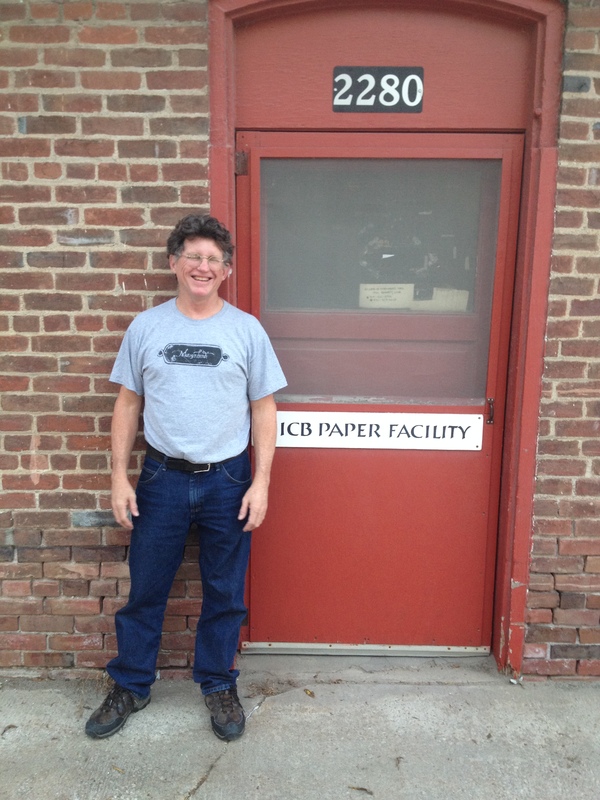 He has spent quite a few years making papers that emulate Renaissance era paper. Two videos from 2013 and 2014, document the UICB paper lab’s attempts at making 2,000 sheets in a day. One of the things they learned that old rags are more porous and allow for better drainage than fresh material. And a paper mill had support staff beyond the three people at the vat. It took a team of 11 or more people to produce 2,000 sheets in a day. Writing about historic craft processes is often done without the experience of doing that craft and approaching duplication of materials, techniques and conditions present in the period being studied. Tim and his team took the time and effort to investigate the question by doing. This kind of research is useful as it tests theories with experience. As you may have guessed from this long post, I’m interested in paper. 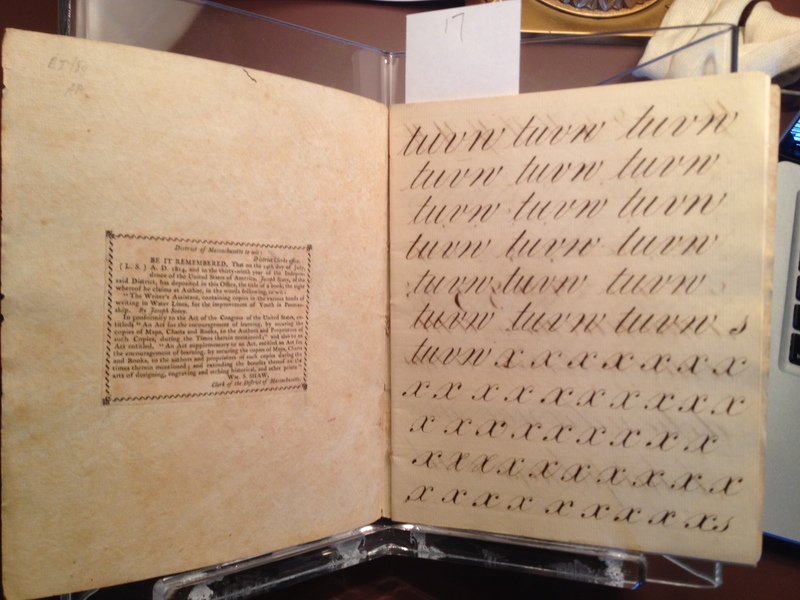 Was the paper used in writing manuals different than printed books of the same period and locale? 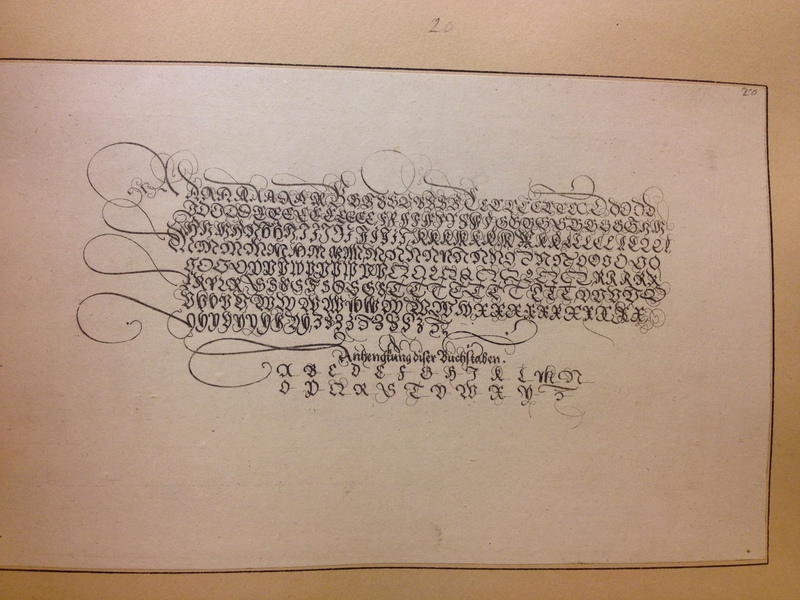 What qualities are needed to get a good impression from a woodblock or a copperplate? 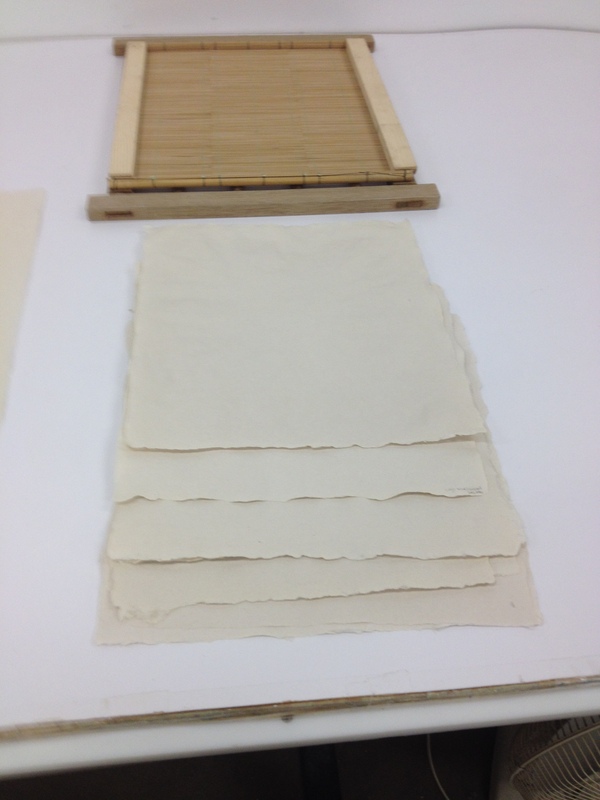 Did the printmaking process require a different tooth or surface? More sizing or none? I asked Tim these questions as a means of developing some sensibility to the substrate that writing manuals were recorded. I’ve been photographing paper surfaces and looking at smooth/rough and thin/thick papers to gather information. I’ll report back later after I’ve seen quite a few more books.